Let's share some custom UI's! Who knows one can steal some cool stuff from another! For those who wonder what the bar with the cooldowns on it is (beneath my character), it's called Watcher. 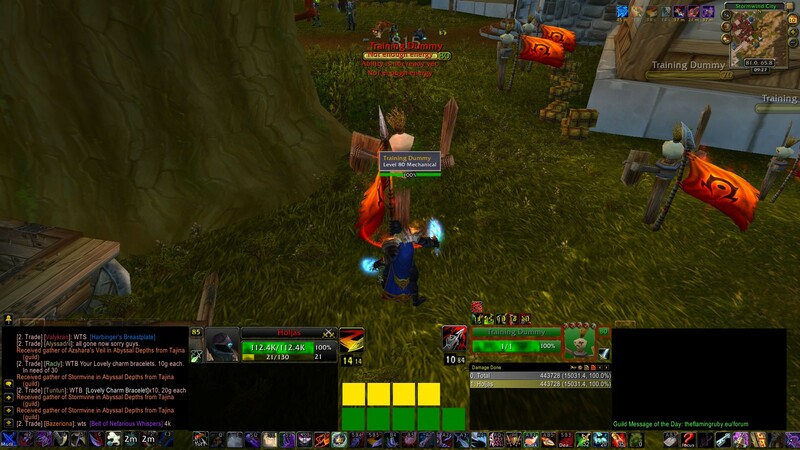 You can priorize spells by hand with this addon. Hopefully more people are willing to share! Go go, we want more! Here's mine, has stayed the same for quite a while now. I like yours! Looks funky! ^^ What addon do you use for the enemy bars (when you press V)? Ah alright, one last question. How did you get those buttons like that, Bartender? Thanks, might try it as well!